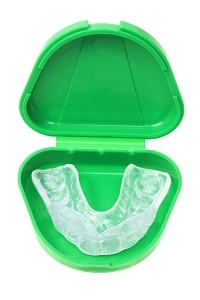 Mouthguards are critical for protecting the teeth from unneccessary injury during contact sports. Severe injuries can result in thousands of dollars in dental work- so why not prevent this occurence? Custom mouthguards are much stronger and more comfortable than the typical boil-and-bite mouthguards. Also, they stay in place better and allow athletes to breathe better thereby enhancing their performance. Acrobats, basketball, boxing, field hockey, football, gymnastics, handball, ice hockey, lacrosse, martial arts, racquetball, roller hockey, rugby, shot putting, skateboarding, skiing, skydiving, soccer, squash, surfing, volleyball, water polo, weightlifting, and wrestling. Other experts include baseball and softball infielders on that list. In many provinces in Canada mouthguards are mandatory when playing some sports. Cash, Visa, Mastercard, and Debit accepted. Emergency dental services available on weekends. For details call the our office.